DIARY OF A PUBLIC SCHOOL TEACHER! : End of Year Projects:Survival Guide for Incoming Students and a Memory Book! 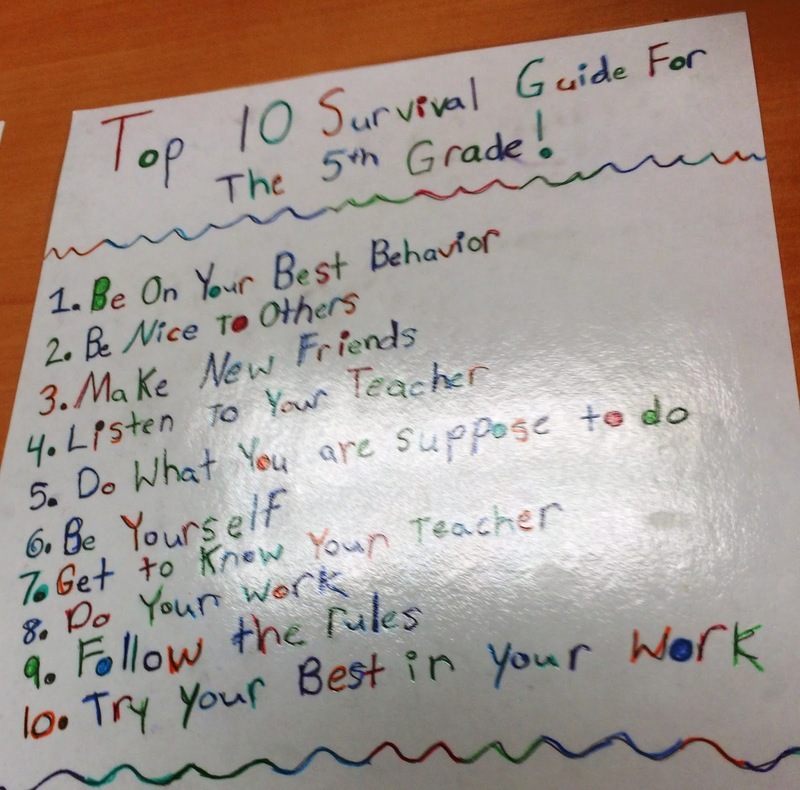 End of Year Projects:Survival Guide for Incoming Students and a Memory Book! I realize that many teachers are already on vacation, so this is for those of us who are still working our way to the end of the year. :) Or, you can always use it next year. This idea comes from my teacher-friend, Angela J. She was eating lunch, laminating, and cutting these out , when I spotted it. Since I'm changing grades, I can't "steal" Angela's idea, but, next year... She was so kind to tell me she didn't mind if I shared her idea with my readers. :) It is a survival guide for the incoming students. She assigned one sheet to each student and asks them to write the Top 10 tips to survive the 5th grade. Of course, there are so many modifications to this to be thought of, video, booklets, use your imagination! Angela said she leaves the book out, so that the incoming students can read at their leisure, or she might read it out loud to them. Great idea! I usually have the students write a letter, but I think the incoming students would enjoy this more. I wrote an entire blog post on this one last year. I've included it again because I updated it a little. Click on the link above to take a look at how we have done it differently this year. I gave each student their own page with their name at the top. I added my own page.The kids especially love the fact that we've added the first of the year pic and the end of the year pic at the bottom of the page.